Premium third-party names like Fantastical ($1.99 from $4.99), Workflow ($1.99 from $5.99), Clear ($1.99 from $4.99) and Duet Display ($7.99 from $14.99) are part of the 19-app list. There’s no telling just how long the deals will last, but these kinds of promotions typically go for about a week. 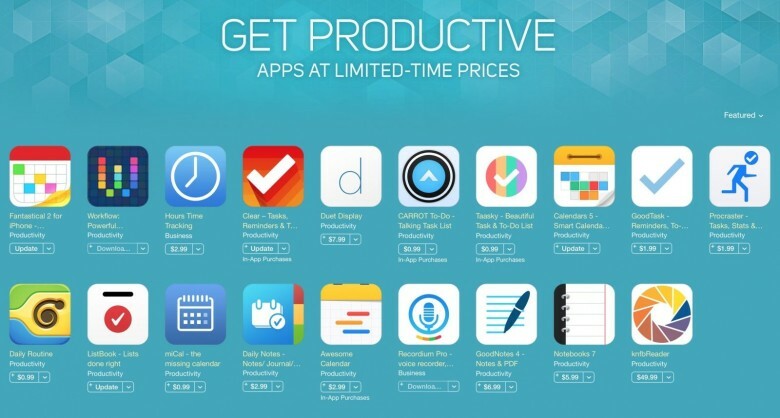 If you’ve been waiting to buy any of these apps, now is the time to pounce.